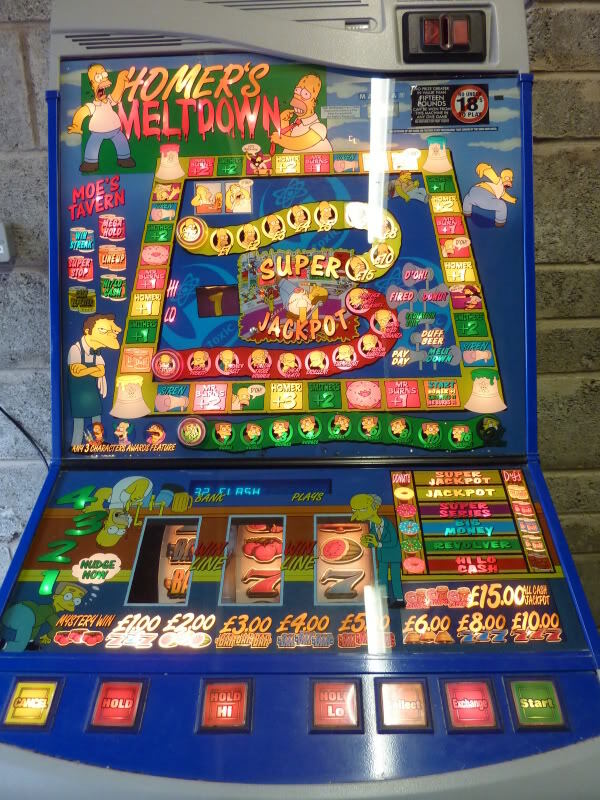 Homer's Meltdown is a fruit machine. 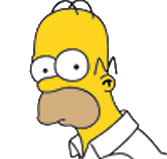 "Homer's Meltdown is based on the successful Simpsons game released in May 98. Entry into the feature game is by obtaining 3 over printed symbols on the win line. Once the player is on the board, they move by spinning the feature number reel, which in turn advances the player round the feature board. The player has the option to collect the Cash Trail (Yellow), Nudge Trail (Green) or the Feature Trail (Red) of which these could be gambled to try and increase the win. Some of the other features available from the main board include Siren, Pay Day, Donut & Duff Beer, Cooling Tower and Moe's Tavern." Modified on March 9, 2016, at 15:44.